We supply creative and colourful sports awards to match your tournament apparel. At Stadium, we enjoy pouring creative energy into your apparel, and we believe your medals and plaques should carry the same colourful exuberance. We customize medals and plaques for any sport or event calling for recognition, with vibrant colors to carry your tournament theme and graphics. 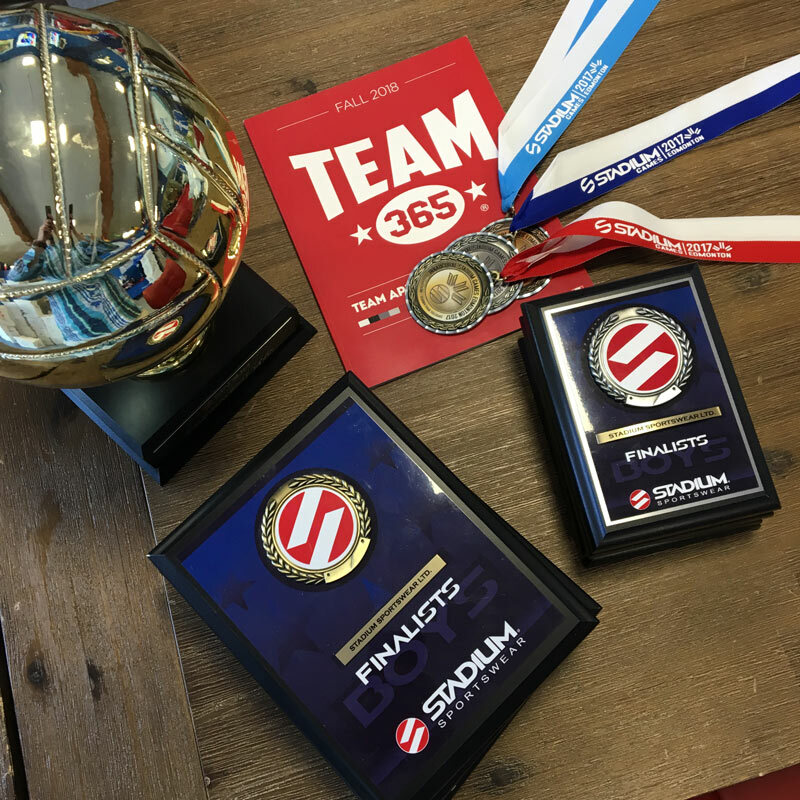 Stadium supplies sports awards that are just as fun to give as they are to receive. Let us create your dazzling new tournament awards and medals.